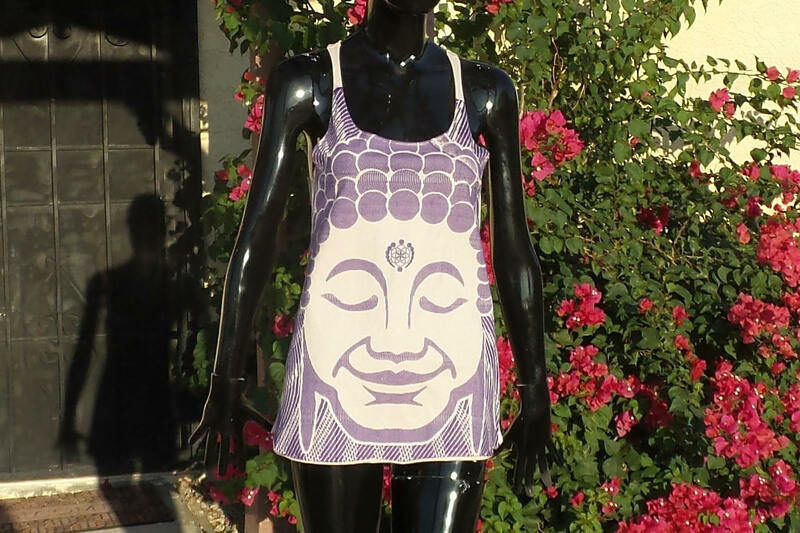 This is printed in purple ink on a peach 100% cotton preshrunk racer back tank top. 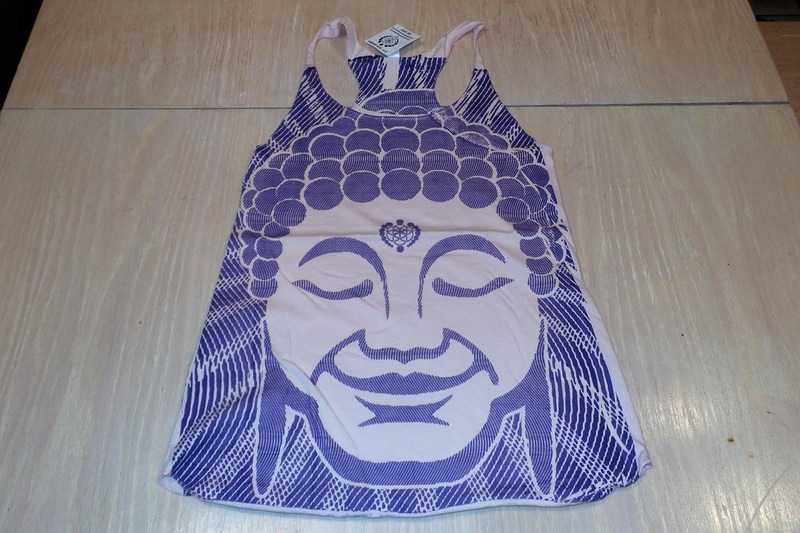 The front includes large print of smiling Buddha face and small logo on the back. Designed and screen printed by Instant. Front: Large print of smiling Buddha face. 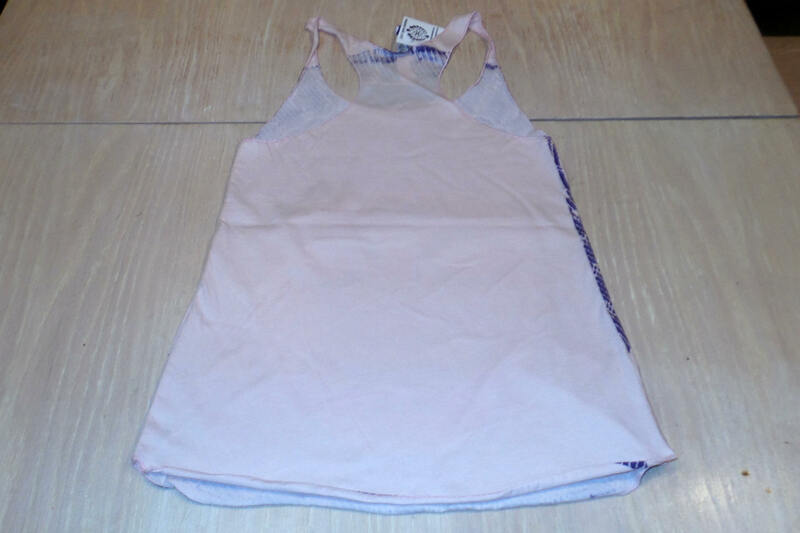 Printed in purple ink on a peach 100% cotton preshrunk racer back tank top. Armpit to armpit - S - 15.5", M - 16.5", L - 17", XL - 18"
Shoulder to hem - S - 23", M - 25", L - 26", XL - 28"